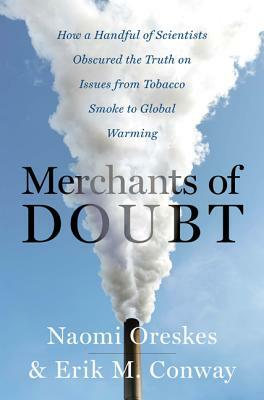 "Merchants of Doubt "tells the story of how a loose-knit group of high-level scientists and scientific advisers, with deep connections in politics and industry, ran effective campaigns to mislead the public and deny well-established scientific knowledge over four decades. Remarkably, the same individuals surface repeatedly some of the same figures who have claimed that the science of global warming is "not settled" denied the truth of studies linking smoking to lung cancer, coal smoke to acid rain, and CFCs to the ozone hole. "Doubt is our product," wrote one tobacco executive. These "experts" supplied it. Naomi Oreskes is Professor of History and Science Studies at the University of California, San Diego. Her essay "Beyond the Ivory Tower" was a milestone in the fight against global warming denial. Erik Conway is the resident historian at NASA's Jet Propulsion Laboratory at the California Institute of Technology in Pasadena. Fighting Facts is their first book together.